New book tells story that intertwines justice with criminal activities, illicit intentions. 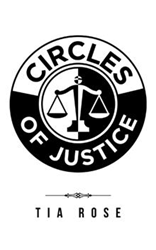 To highlight the reality that law enforcement personalities and agencies, although challenged at times, often remain focused on enforcing the law, in their pursuit of justice, author Tia Rose writes “Circles of Justice” (published by AuthorHouse). This book tells a story that intertwines and effortlessly merges justice with a mix of criminal activities and illicit intentions that entices readers to become an active participant. There are various changes in the plot and unexpected occurrences while countless and diverse faces of justice are not readily apparent. The story presented in “Circles of Justice” will remind readers that justice often prevails, despite apparent delays. Tia Rose is a creative optimist. She is a graduate of the Florida Atlantic University, who loves reading and writes to encourage reading. AuthorHouse, an Author Solutions, Inc. self-publishing imprint, is a leading provider of book publishing, marketing, and bookselling services for authors around the globe and offers the industry’s only suite of Hollywood book-to-film services. Committed to providing the highest level of customer service, AuthorHouse assigns each author personal publishing and marketing consultants who provide guidance throughout the process. Headquartered in Bloomington, Indiana, AuthorHouse celebrated 15 years of service to authors in Sept. 2011.For more information or to publish a book visit authorhouse.com or call 1-888-519-5121. For the latest, follow @authorhouse on Twitter.